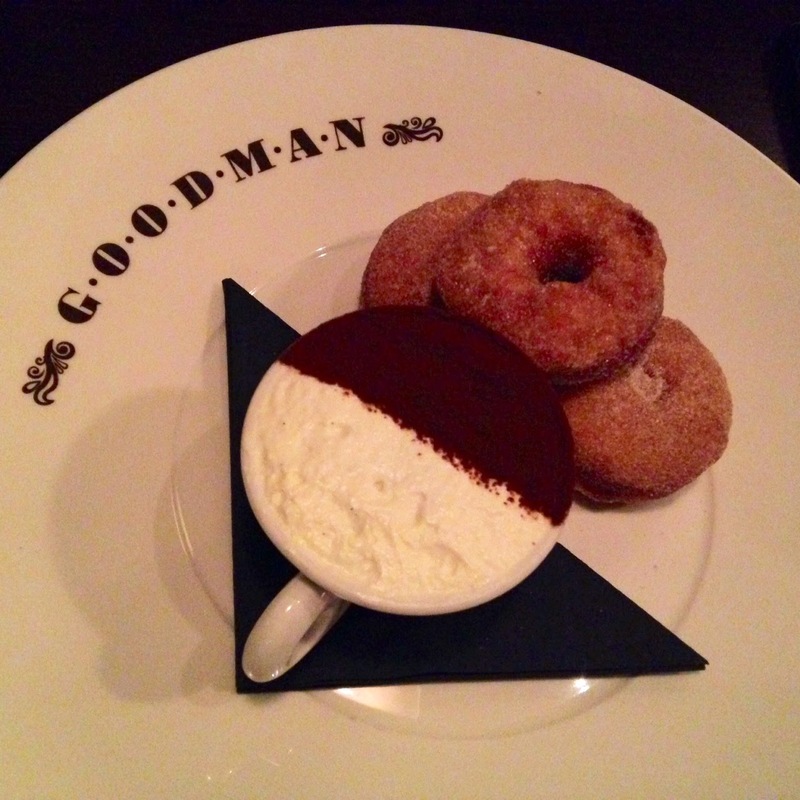 The length of time it has taken me to visit Goodman is a crime. I’m not sure what my punishment should be but surely just having deprived myself of such glorious comfort food for so long is punishment enough? On a rainy Friday evening I emerged ravenous from a cathartic karaoke session at nearby Karaoke Box (Nobody Does it Better by Carly Simon in case you’re wondering) and was hunting for a late night supper and chanced on a free table at Goodman. I can’t remember what it looked like inside partly because it fulfilled my two main criterion of a) not being rainy and b) serving hot food. That’s usually a good thing though. If I notice the decor too much its invariably because I see something I dislike (carpet at Alyn WiIliams I’m thinking of you and distressed plaster and brick walls at- well- every burger place ever). 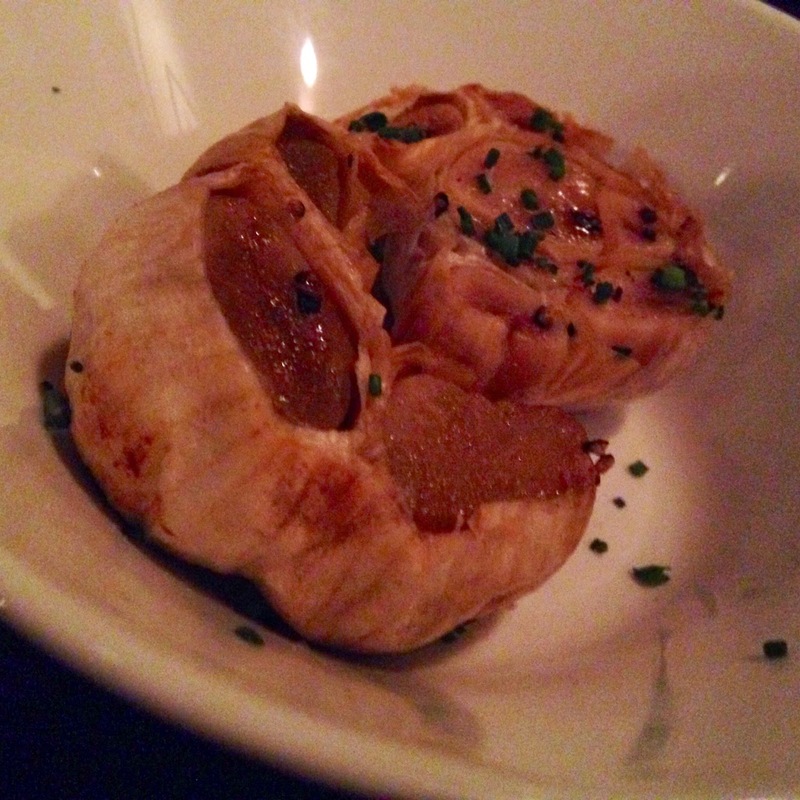 So it was at worst inoffensive and at best comfortable enough to allow you to be focused on the food. I do remember wood, brown leather and low hanging metal lights though. Lots of brown. Importantly for a girl, there was nothing “rustic” to snag your tights on (they are bloody expensive you know, even from M&S). So, speaking of food- onto the menu. An unstoppable urge for steak meant that none of the starters were going to get a look in unfortunately. Had I paused for a moment to see beyond the beef-based mist clouding my vision, I would have gone for the lobster bisque, because- well, who wouldn’t? A tray of raw meat is paraded before you by one of the very knowledgeable serving staff and, if you are as much of a meat geek as me, it becomes a personal challenge to identify each cut of beef. All the usual suspects were present and very, very correct; porterhouse, fillet, sirloin…. 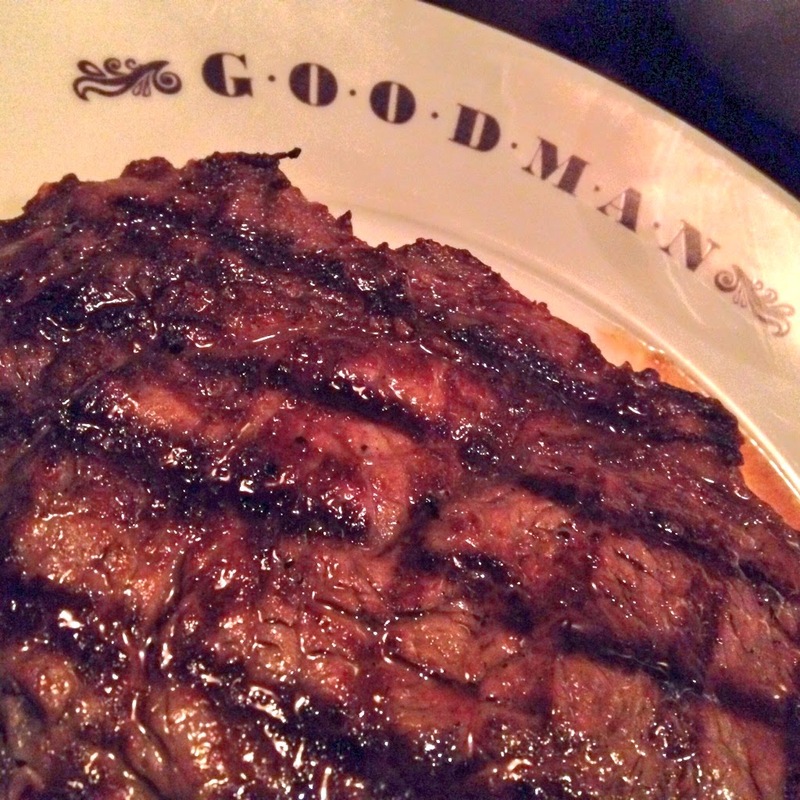 Despite being tempted by the tray I went for the Goodman rib-eye with 400g for £34. Cooked just enough to let the fat melt but still bloody enough for my gory tendancies, it was pink and oozing juiciness with the perfect crisp char on the outer. Honorable mention has to go to the whole roast garlic that you can add to your steak for a couple of quid. Never has there been a better steak topping than a mushed up roast garlic bulb in my opinion. Truffle fries were exactly that, emanating the distinctive heady, earthy burst of black truffle and not over salted. Pretty damned perfect actually. £5.50 is a bit on the steep side for chips but you did get plenty. Parmesan and truffle macaroni cheese was tasty but more with the sharp tang of parmesan than any truffle. If you’re forced to choose between the two (poor you!) go for the fries is my recommendation. 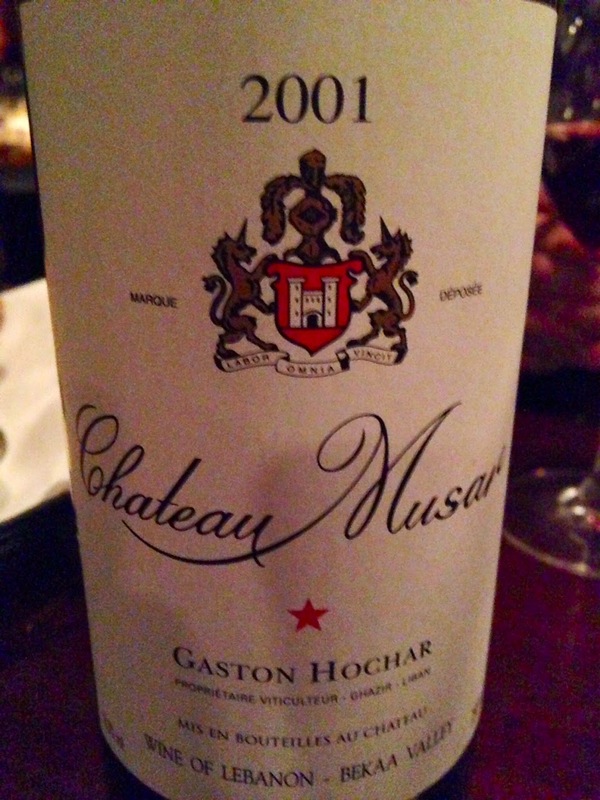 A bottle of 2001 Chateau Musar was a great foil for the rib eye. Whilst the majority of Burgundy and Bordeaux on the list was the usual London 3x retail, Musar at £68 was just over x2 making it a comparative bargain. You would also be hard pushed to beat a Bekaa Valley blend with a steak and chips in my eyes. Rich and ripe with fruit and some smoky, meaty notes developing with age. This one is 13 years in now and truly at its prime. Glorious stuff. I expect the steak to be the main event at somewhere like Goodman and therefore dessert can become something of an afterthought but that wasn’t the case here. Apple and pear crumble with stem ginger ice cream was gorgeous, in fact so delicious that I’ve promptly tried to copy the ice cream recipe at home with some success (although I never will learn and always initially add too much ooze so it won’t set). Doughnuts with cappuccino mousse were so light and fluffy with a crispy outer shell, I genuinely did try to play the not-licking-my-lips game but failed miserably. The memory of the doughnuts will stay with me for some time. A bottle of sweet red Quady Elysium ensured a good nights sleep, if I’m being honest I may have dropped off in the cab on the way home but don’t worry, I woke up after dreams of beef and chips. It wasn’t all plain sailing but none of that was due to the kitchen or the staff, more the clientele. This is not somewhere you want to go on a Friday night if you want a quiet diner a deux. Its also not somewhere I’d take my family as it was a) very noisy and b) awash with clouds of testosterone. The majority of other customers were groups of guys all competing over who could order the largest hunk of beef. The waitresses did a fabulous job of keeping certain individuals under control and took a fair amount of abuse for it.